So, you’ve decided to make your company fully remote, or you want to launch a startup as remote from its very beginnings. Congratulations! However, running a remote team is anything but easy, especially if you’ve never worked remotely yourself or delved into remote management. Today, we’ll unveil the tips to proper remote management, whether you’re just starting out with remote work or you’re a seasoned professional looking for some fresh insights. As well as many other tips and tricks for remote team management. Let’s dig in. 5.1 How do you Structure a Remote Company Retreat? First and foremost, you need a team in order to establish a remote company. While you can get a lot done as a solopreneur, at a certain point in time you will need to bring some new people on board. And as you’ll come to find out, finding remote talent can be fairly complicated if you’re new to the game. As working remotely has a number of differences from the traditional work environment, the hiring is also different. You do get to hire people across the globe and an access to a larger talent pool, but this brings significant challenges as well. This is not so much different from what you would do in more traditional job settings. Create a compelling job ad and get ready to post it on job boards and social media. However, there’s a few things to keep in mind. Step 1: Let applicants know it’s a remote job from the start. There’s a higher chance of getting better applicants if they know they can work remotely. Additionally, you’ll discourage those who don’t like remote work from applying right off the bat. Step 2: Let applicants know what they need to do. Many candidates think that remote jobs are a walk in the park and that it’s really watching YouTube videos until the clock runs out. Lay out all the responsibilities of the future employee so they know what’s coming ahead. Whether it’s remote writing jobs or remote recruiting jobs, it’s necessary to know ahead exactly what the position entails. Step 3: Post the ad where it gets the most views. Job boards get the job done (pardon the word play), but they’re far from the only option out there. You can use social media instead, and get in front of the best job applicants by using laser-precision targeting. You can also try communities such as Facebook groups, which get lots of traction. Alternatively, you can post the ad on LinkedIn, but be advised that at several dollars per click, it can get very expensive, very fast. Step 4: Set up a test. You need to be careful about whom you hire remotely, simply because there’s lots of aspects to manipulate. If you’ve ever had to hire someone, you know how easy it is for applicants to fake their CVs, everything from work experience and education, all the way to their references. Unfortunately, things get even more complicated when hiring and managing remote teams. The vast distances between the employee and the employer make screening checks extremely difficult and candidates can lie about their past experience and get away with it quite easily. The way to combat this is by using skills tests before letting anyone join your team. Depending on the position, this can be writing a test article, writing a few lines of code, coming up with a digital marketing strategy, designing a landing page or whatever comes to your mind. The skills test will let you know who the best candidates for remote jobs are before you call them up for an interview, and you’ll know they actually have the skills to get the job done. The skills test can still be faked if the candidate is really persistent, but most won’t bother to go too far in their efforts. When putting together a test, it’s best if you are yourself versed in the skill you are testing. For example, as a writer, I am comfortable putting together tests for writers. Hiring a developer would be difficult for me, to say the least. If you’re testing for a skill you’re not great with, ask around for help to assess candidate skills. Step 5: Hire candidates for a test period. Sometimes, a candidate simply doesn’t work out. Either they lack the skills to get the job done or they simply cannot function remotely, but they’re not a good fit. For this reason, you can create a safety net and hire candidates for a test period of a few weeks. That way, they get to see what working at your company is all about and you see if they can walk the walk. Why did the employee leave your company? What would you say their biggest strengths was? What were their biggest weaknesses? How did they fit into the team and company culture? If you had the chance to hire this person again, would you do it? There are two things to bear in mind with background checks. First, only run them at the very end of the hiring process. That way, they won’t influence your decision from the start – you want to hire based on skills, not previous employment history. Second, some employers are not allowed to speak about a candidate’s performance, because of legal issues. Hiring a team member or two is more or less achievable, but growing a remote company is a whole different issue that requires time and dedication to the remote lifestyle. Here’s how you can do it. As you set out to create a functional remote team, you need to set up a system where every team member is onboarded and welcomed as they join in. Some companies do this by having an employee handbook (such as Zapier, Toggl, Buffer), others just wing it and have a set of established procedures instead. First things first, as a new member joins in, let them feel welcome. A new employee has already been through several interview stages, but now is the time to get to know them in a different light, as they won’t feel stressed and worried about getting the job. Ideally, your new hires should meet the rest of the team in person to see who they’re working with, but for most remote teams, this is simply not an option, as remote retreats cost quite a bit of money. Instead, introduce new team members to the team and individually to other team members. In the beginning stages of their employment, it’s important for them to connect the names and faces as much as possible, and it’s best to do it through one-on-one encounters. In one of the companies I used to work for, as soon as a new member joins the team, they first speak up in front of the entire company, and then everyone calls them up for a few minutes to get familiar with them. In this way, you get to spend some quality time with them before they start working, ideally making them feel a bit more relaxed. Just like “normal“ companies have regular processes for onboarding a new employee, remote companies have something similar. Instead of providing them with a desk and run-of-the-mill stationary equipment, there are different tools of the trade. Primarily, provide new hires to all relevant accounts. This means a company email, as well as all the necessary accounts to tools they will be using on a daily basis to get their work done. Now, the individual work starts. As the employer, you’ll have great expectations, and as the employee, you may (rightfully) get scared in the beginning. In traditional work environments, it’s common to get some sort of training from someone on a senior position. Seeing how peculiar remote working is, this is just not possible in most cases. Unfortunately, the remote worker pretty much has to figure out most of the things on their own from day one. There are, however, some things that you can do to help them out. First, set very clear expectations, along with actions that need to be taken and the deadlines for each task. Even if they don’t have proper training and onboarding, these elements will greatly help your new employee in the first few days. Second, have your employee report to their team lead. At Toggl, each of the teams (development, product, marketing) has someone in charge of the rest of the pack, a team lead. At the beginning of each quarter, team members are given out expectations for their performance for the upcoming period. As time goes by, employees report in on their progress every week and month. If your company uses Slack, you can use a standup app such as Standuply for your employees to check in every day. This and similar apps are used for employees to report their daily tasks from the day before, as well as what they’re intending to do the day they are filling it out. It’s a great way of getting insight into what someone’s doing without micromanaging. Finally, once you’re done with the onboarding, do some evaluation. Ask your employee if they found the onboarding process useful, if they had all the available tools and information and whether they would change something to make it better. This kind of insight will provide precious feedback which you can use to further refine your onboarding and make it scalable. You will be able to bring more employees on board and welcome them with ease, which is crucial for teams intending to grow across countries and time zones. With every new hire, getting more remote employees on board will become easier. Leadership is not a naturally-developed skill, and it’s even more important with remote jobs than it is in offices. As it’s hard to establish authority and build trust with workers spread across the globe, leadership can prove to be extremely difficult to learn, no matter if it’s remote design jobs or remote developer jobs. Here are some of the ways to get started. Most remote teams start out small. There are very few cases where companies with 200 employees simply decided to change to remote as a work model. Instead, remote companies are usually small startups, working from home in order to cut costs and save resources on things more important than office rent or utility bills. If you’ve ever worked in a startup, you know that it’s an all-hands-on-deck environment. Everyone does everything, and the CEO is in the middle of it. As your team grows, it’s simply impossible for the CEO to be informed about everything all of the time. To be able to grow, the CEO needs to delegate power and allow other team members to make important decisions on their own. First of all, make teams. If you have 3 designers, create a design team and appoint someone to be in charge. You’re already familiar with their work and you know they can get the job done, now it’s all about setting up a team and letting go. This relationship will benefit both the CEO and the employees. As there’s less time spent micromanaging a remote team (which can get rather tempting), there’s more time to get other work done, more important tasks requiring immediate attention. On the other hand, your employees will appreciate the newly-granted freedom and responsibility. It’s a situation where everyone wins. As an example from the field, there is Toggl, one of the most established remote companies out there. Toggl functions on a system where each team (marketing, product, design etc.) has a team lead. This person is in charge of several other employees who report to them on a weekly, monthly and quarterly basis. Team leads set goals for their team members for the upcoming week, month and quarter. Here’s the kicker – they can do them whenever they see fit. For example, if someone takes Monday and Tuesday to complete all tasks for the week and they have the rest of the week free – it’s perfect, as long as goals are met for the week, month and quarter. Needless to say, a system like this demands a lot of confidence in your team members. On top of that, if you only assign enough tasks to be done in just two days, that’s your shortcoming as the team lead – and not the fault of the employees that can get the job done in a portion of the time. How do you measure someone’s performance at work in a traditional office? It’s fairly simple – they clock in at 9AM and punch out at 5PM. Hopefully, they get a ton of work done in the 8 hours in between. That kind of system works (up to an extent) in a regular old office, but what about remote jobs? As you’ll come to find out, hours spent working aren’t the greatest metric when it comes to working performance. If you set a certain task for your employees, ideally, you shouldn’t care whether they get it done in three, six or eight hours, as long as the job gets done. However, this kind of mindset has still not come to life with today’s companies, traditional and remote. It requires a lot of trust, as well as goals defined with laser precision. By focusing on output instead of hours spent working, you show your team that you trust them and the way they spend their time at work. If you’re unsure how to measure success and effectiveness of your team members, simply use project management tools – which we’ll cover in the next section. It goes without saying that communication is one of the biggest hurdles for remote teams to jump in everyday work. Even though working remotely has many upsides, one downside that keeps coming up with company founders is communication. How do you communicate well without having direct contact with your coworkers? For the most part, remote teams rely on communication tools that make everyday work activities easier. In the early days of remote culture, general tools such as Skype and various messengers did the job, but over time it became evident that a more robust system was necessary specifically for work applications. Have you ever tried tracking who in your team needs to do what using just emails and various types of documents? Before communication became a predominant element in remote teams, first there was the issue of task and project management. Companies over the world use different PM tools, such as Trello, Asana, Jira, Teamweek, Monday and others to manage their tasks and workflows. I’m partial to Trello, because a) it’s free for all of my needs b) it’s super easy to use and c) Trello workers and founders are all remote. Once you choose a project management system that works for your remote company, you’ll be able to keep up with who does what and where they are in the workflow, no matter where they’re located and what kind of time zone they operate in. This part largely depends on what your company does and how you conduct work. However, the majority of IT teams require tools similar to those from Microsoft Office. For this reason, almost all remote teams I know function using Google Drive and related tools to get the job done. So, once you know what work needs to be done (and by whom) and you have the tools to do it remotely, there’s the biggest obstacle – communication. In order to function as a remote team, your employees need to be able to communicate well. As mentioned, general tools such as Skype work well if all you need to do is exchange a few lines and have a video call every now and then. However, as soon as you need some more demanding features, it’s no longer a viable solution. Luckily, tools such as Slack were developed specifically to facilitate communication in the workplace. Used by teams in traditional and remote settings, Slack has hundreds of integrations that make team communication a breeze. For example, you can connect it with Google Drive to display changes to your files and easily allow access to documents directly from Slack. You can also connect it with your project management apps and assign tasks directly from Slack. Knowing that a large portion of their user base are remote teams, Slack also came up with some useful integrations that are remote-friendly. For example, you can install different bots (such as aforementioned Standuply) that let teams display progress on their daily tasks so that their work is fully transparent. Company culture is not a made-up term that HR managers use to disqualify candidates and hire people they like. Culture is very much real, and it’s the feel of the workplace, created not by the management, but the staff itself. Companies such as Google pride themselves on great company culture and use it as a magnet to hire great people. Here’s the trouble. 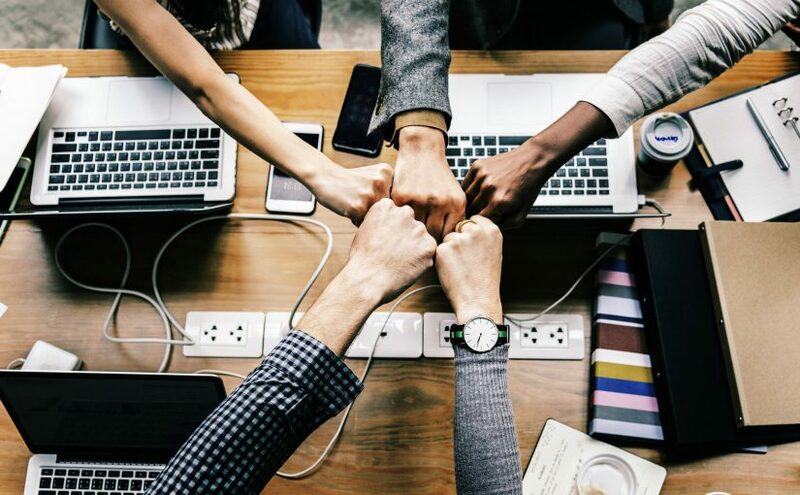 Establishing company culture can be very difficult in traditional companies, but it gets incredibly hard in remote teams. There’s only so much you can do through video calls, standups, emojis and sharing cat memes on Slack. This is why companies such as Zapier, Trello and Toggl established remote retreats. These are events where the entire company gets together for a few days to sit down and bond and get to connect to each other outside of the realm of chat messages and video calls. As remote companies don’t have to spend money on rent, utility bills or company wi-fi, most opt for some form of retreats so that employees get to see each other in person at least once per year. So, how do you set up a remote company retreat? The issue of location first comes to mind. Does your team function remotely within a single country or is it spread out across countries, continents and time zones? If your entire team works within one country, you can simply book a hotel/apartment/house in a location that suits everyone. This is the easiest possible version there is. However, as you’ve set out to find the best talent out there, your team most likely spans across different countries. In situations like these, there’s several things to bear in mind. First, decrease commute to a minimum. You want people to spend time at the retreat, not in the plane/bus/car. Second, you’ll have a hard time finding a location that suits everyone. You can allow your team members to choose their ideal location by themselves, or shortlist a couple of them according to your company budget. If your team members are having a hard time deciding on a location, you can do it for them. A tool called Teleport Flock allows you to select several locations where your team members are located, and then it selects the one that is closest to every team member on the map. The second issue is time – when should you plan your resort? Summer months work the best for teams in continental climates, but many team members prefer to use this time for vacations. We suggest the beginning of the year, as everyone is still fresh from the holidays and clients and other companies are not in full swing yet. How do you Structure a Remote Company Retreat? Once you decide to go on a retreat with your remote team, do you spend the time there working or do you just relax and rest, getting to know each other? The answer depends on the team and the kind of job you do. What is certain is that not all team members get to rest at all times during remote retreats. For example, customer support and project managers have to be available at some point during the day. Other team members who don’t depend on clients can take a few days off without working. What’s the ideal situation – working or not working? According to remote retreat experts Surf Office, a healthy mix of both is the best. Teams who comes in and have the best functioning retreats get their job done in the first part of the day, and spend the second part on team building activities such as surfing, playing sports, sightseeing and others. Starting a remote company is not that much different from starting a traditional one. There are unique challenges, many of them stemming from the fact that this way of working is fairly new and there’s not enough experience to make informed decisions. 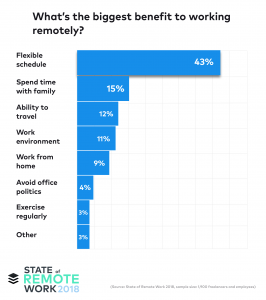 However, as more companies embrace the remote lifestyle, it is certain that the future brings about a large increase in the number of remote positions, for all jobs that can be done from a laptop, such as remote project management jobs, remote recruiter jobs or remote QA jobs. If you’re interested in starting a remote team of your own, feel free to drop by Anomadic’s job board and see what others are hiring for, as well as try and find some great talent for your own company. Happy working!